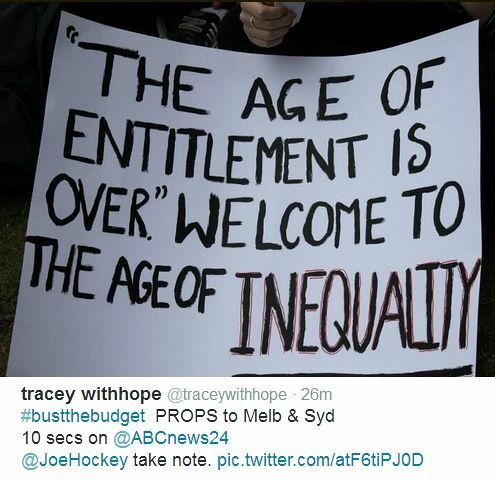 In a speech last night, Joe Hockey said unpopular Budget is fair and that everyone who opposes it is engaging in class war. Bob Ellis comments. will get no Paid Parental Leave either, because she has no job. "... the class war rhetoric of the 1970s." Some of us would think it was unfair — and if there’s a class war on, he’s declared it. Government out because of it. This inability to join the dots characterises Joe. He may be the most incompetent politician in our history. 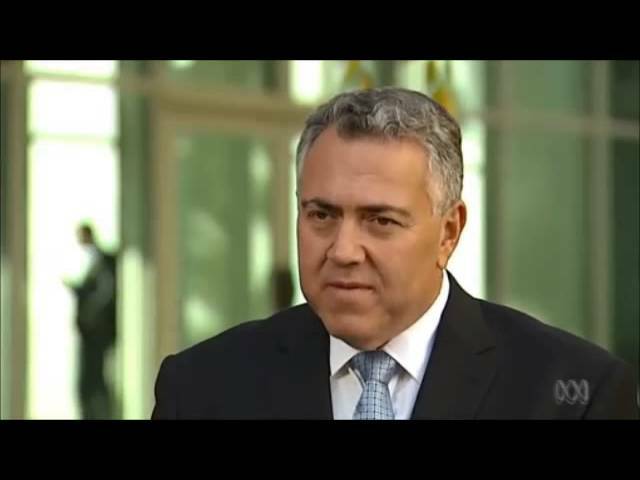 He is certainly the most incompetent Treasurer. 10 million women will not hear of her. But of course they will. And they will not find her treatment by him "fair". Joe is proud of this. to beg enough to bet inside on their ‘age of opportunity’, roulette. 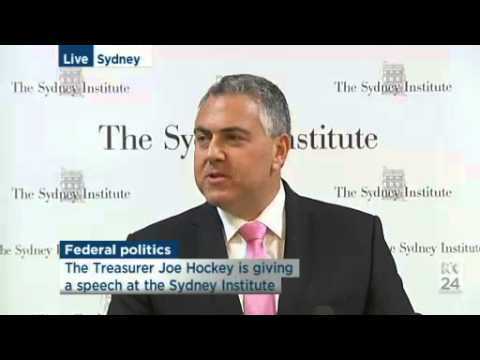 Joe thinks his Budget has not been sold well. He’s right about that. about those that haven’t. Everyone has an unemployed relative, or a disabled one. And Joe didn’t realise they would care. It is hard not to think him actually crazy. He’s certainly fanatical. secret? Has he joined the dots? I don’t think he has. It’s unlikely Palmer will even talk to them unless Joe is removed. through except the ending of the carbon tax, which worsens the bottom line. It’s probable Joe has done for them. And he still thinks he can turn opinion round. Win back the 1.5 million votes they’ve lost in eight months. He’s actually as crazy as that.